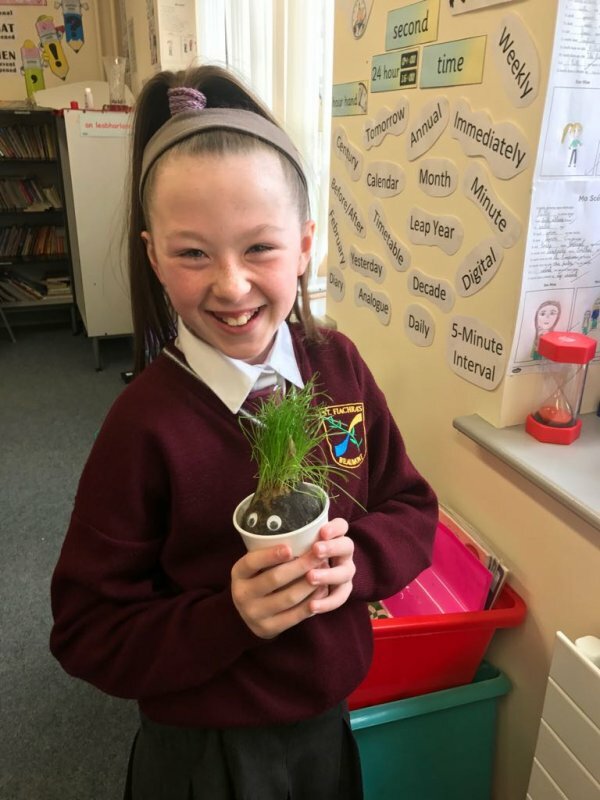 Archive by category "Step One – Science"
Fifth class demonstrate their ‘green fingers’ as each child plants their seedlings in individual pots. They will eagerly follow the growth journey of their own seedling – making sure that the seedlings get sufficient light and water. It’s not every day that our students are invited to Beaumont Hospital for a Science Presentation by the tutors of the Royal College of Surgeons! St. Fiachra’s 6th class students put on the white coats and surgical gloves and participated in a myriad of fascinating scientific experiments. They got the opportunity to use various items of medical equipment. Everybody was enraptured by this experience! A fascinating day for our students! It’s amazing all the scientific knowledge that can be discovered from a box of cocktail sticks and a bag of mini-marshmallows!!!! 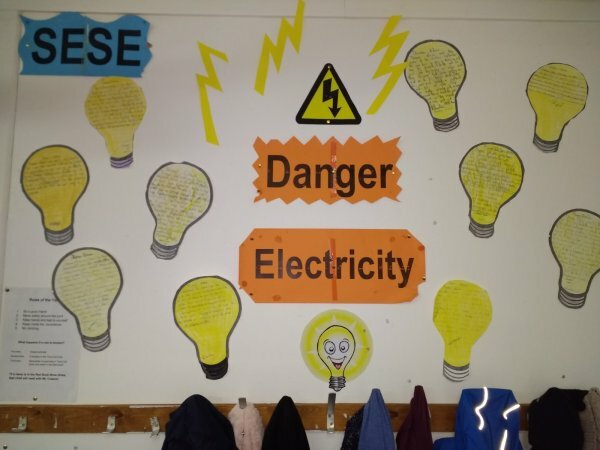 Fifth class used their skills of experimenting, designing and making, investigating, observing and and analysing to conclude that the triangle is a strong shape which is used to support structures. If a brace is put diagonally across a square, we create two triangles and a much stronger shape. The triangle is a very popular building shape because it is not easily distorted. Spring is in the air! Time to get planting with our school friends! Looking forward to seeing these flowers bloom shortly! What fun we had when the Crazy Scientist visited our school and gave a hilarious science presentation in the hall! He needed lots of volunteers to help with his scientific experiments. No shortage of volunteers! We really enjoyed his talk and learned so much from his experiments. The Senior School had a most interesting science presentation by Damien Stafford, Senior Perfusionist in the Mater Private Hospital. A perfusionist is a healthcare professional who uses the cardiopulmonary bypass machine (heart–lung machine) during cardiac surgery. We saw photos of the life-changing machinery which keep people alive during heart and lung transplants. It was fascinating to hear about this amazing lifesaving work which is going on in our hospitals by our health professionals. We learned how to become a perfusionist and also how to keep our hearts healthy by exercising regularly and avoiding unhealthy foods. Firefighters, Conor Keegan and Andy Cullen, gave us a very interesting science presentation on fire safety and fire fighting. We saw practical firefighting techniques and equipment.We were fascinated!! 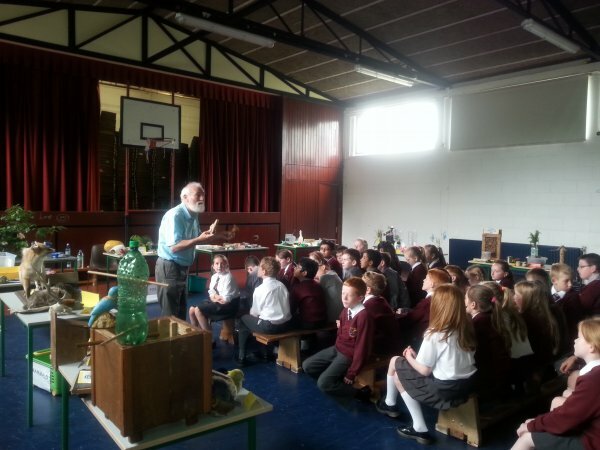 Kevin Sweeney from Astronomy Ireland captivated all the children in the Senior School with his interesting presentation on the Planets and the Solar System. We had great fun today experimenting with sound.